Welcome to Clay and Limestone where we're celebrating our Wildflower Wednesday star of the month! Asarum canadense is poking out of the soil in my garden. The heart/kidney shaped leaves are velvety soft and an attractive deep green. The delicate bell shaped flowers are also up, but, hidden beneath the leaves at the base of the plants. Wild ginger is found in rich, moist forests in Eastern N. America - Manitoba to New Brunswick, south to N. Carolina and west to Kansas. It's an early bloomer here in middle Tennessee and the delicate bells shaped flowers are already beckoning pollinators. In cooler climates look for them in early April. The flower of Wild Ginger is a fuzzy little beauty, but, you'll have to get on your hands and knees to see it. The flower has no fragrance, but, it's unusual shape should be seen up close to appreciate. What looks like petals are really part of the calyx and have pointy ends that add to its attractiveness. 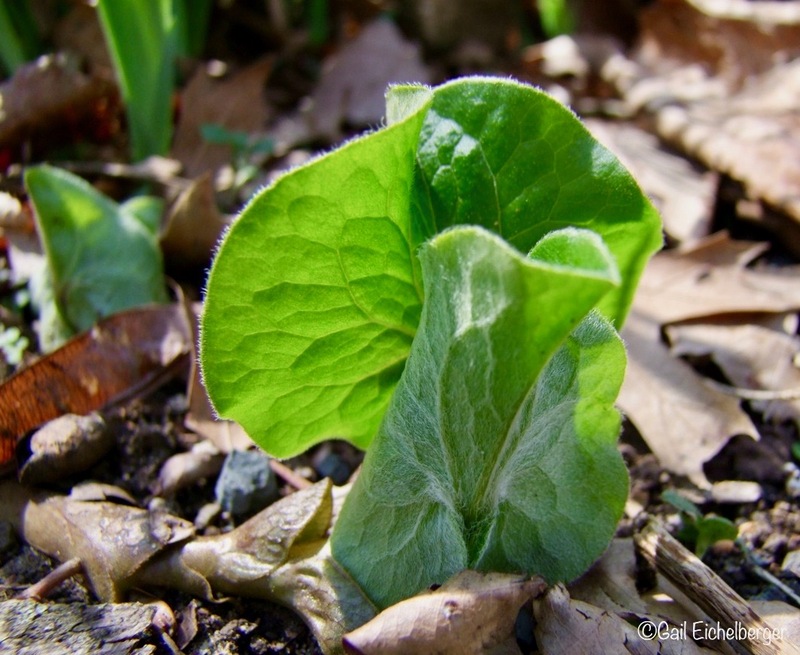 The flowers fade fast, but, the leaves are green all season, making Wild Ginger an important ingredient for a woodland garden. 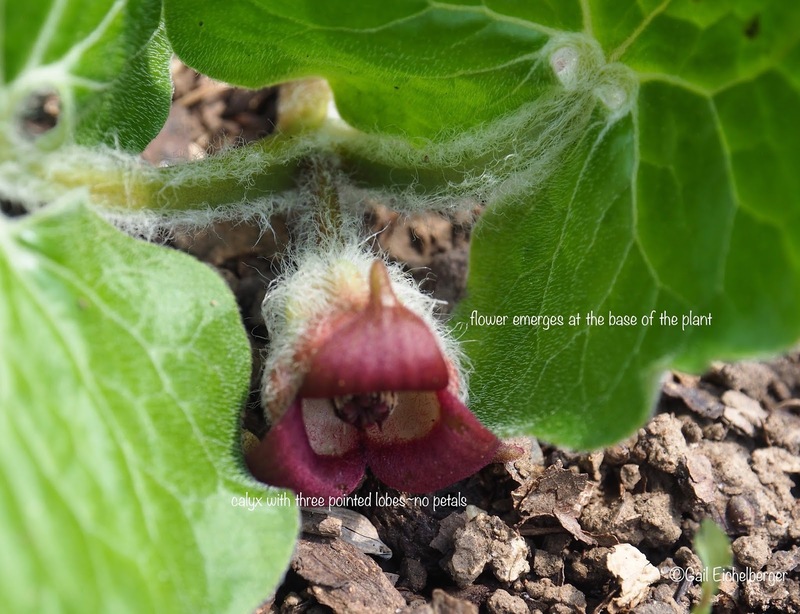 Asarum canadence is made for the shade. It’s a beautiful ground covering wildflower when grown in loose, rich, organic soil (spreads by rhizomes). Needless to say, it doesn’t spread wildly or fast in my heavy clay soil, instead it intermingles with other wildflowers. Because it remains green all season, it's a lovely addition to any woodland/shade garden that emphasizes leaf shapes, textures and variations on greens. I can see it planted along a path edge, massed or interplanted with clumping Christmas Ferns, or any number of other shade dwelling beauties. In my garden it plays well with False dragonhead, Phlox divaricata, Christmas Ferns, Blue eyed Mary, Phacelia and Spigelia. 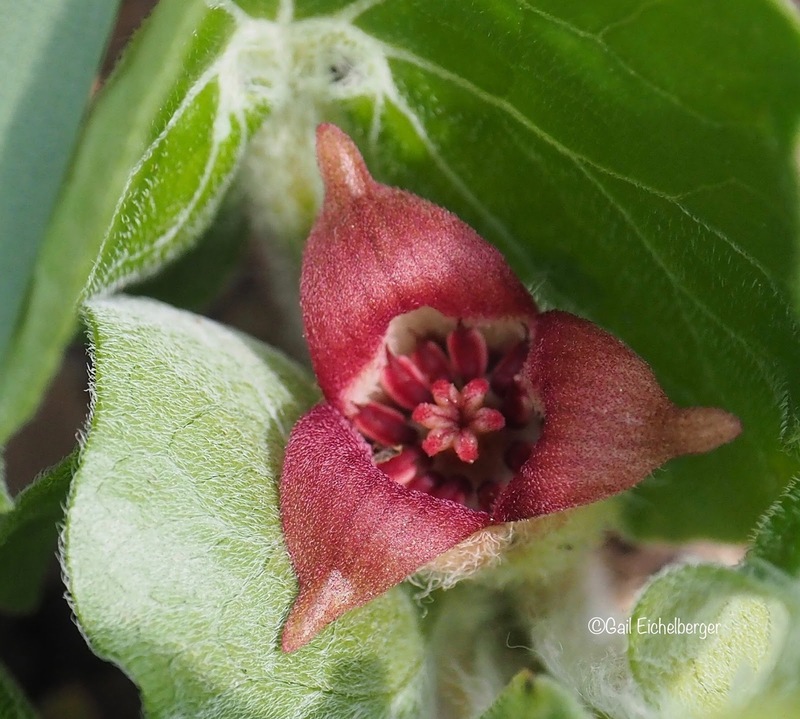 Wild ginger is a fuzzy little beauty, but you'll have to get on your hands and knees to see it. When a flower is at ground level it only makes sense that it's inviting ground dwelling insects to either pollinate or disperse its seeds. That's the case with Wild Ginger, it's pollinated by flies and beetles and the seeds are attractive to ants. Seed dispersal by ants is called Myrmecochory. This beneficial partnership between ants and plants is amazing: The ant gets a lipid (fat) rich meal from the elaiosome covered seeds and the plants benefit from the ant dispersing the seed far from the parent plant (thereby eliminating competition). Scientists also think that ants have a role in protecting seeds from seed predators when they carry the seeds away and by increasing germination rates when they eliminate the elaiosome surrounding the seed. I love knowing that ants have moved wild ginger uphill in my garden. I sure didn't recall planting it there! This gives me an even better appreciation of ants, their midens (trash depositories) and their place in nature! I must thank them for planting it near the Christmas fern and wild Phlox! 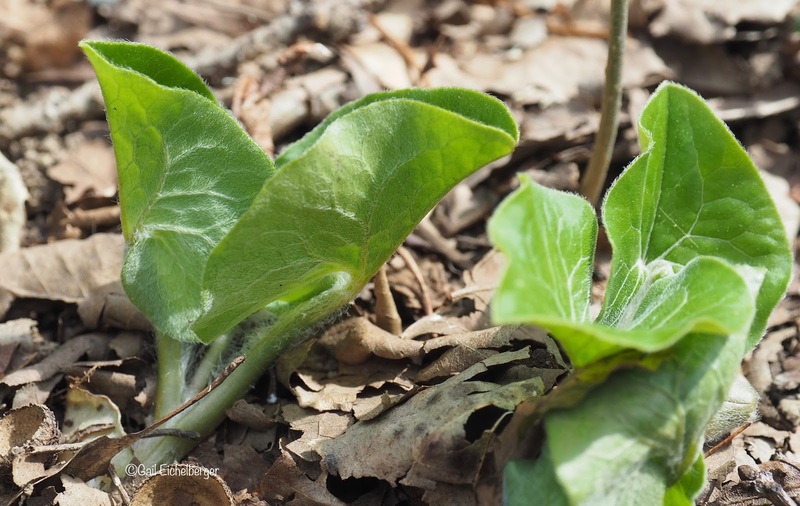 Oh, in case you wondered, the leaves and rhizomes of Wild Ginger do give off a pleasant gingery fragrance when broken, but, this is not why I grow it. Not only is it lovely to look at, it's not palatable to deer and it's an important food source for the larva of the Pipevine Swallowtail Butterfly. The caterpillar eats the leaves and thereby ingests aristolochic acid which makes it poisonous to birds. Faunal Associations: The reddish brown flowers attract flies and beetles. 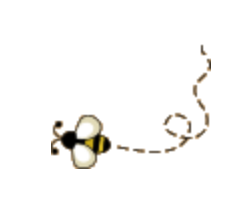 The seeds attract ants because of their fleshy appendages; these insects help to disperse the seeds. 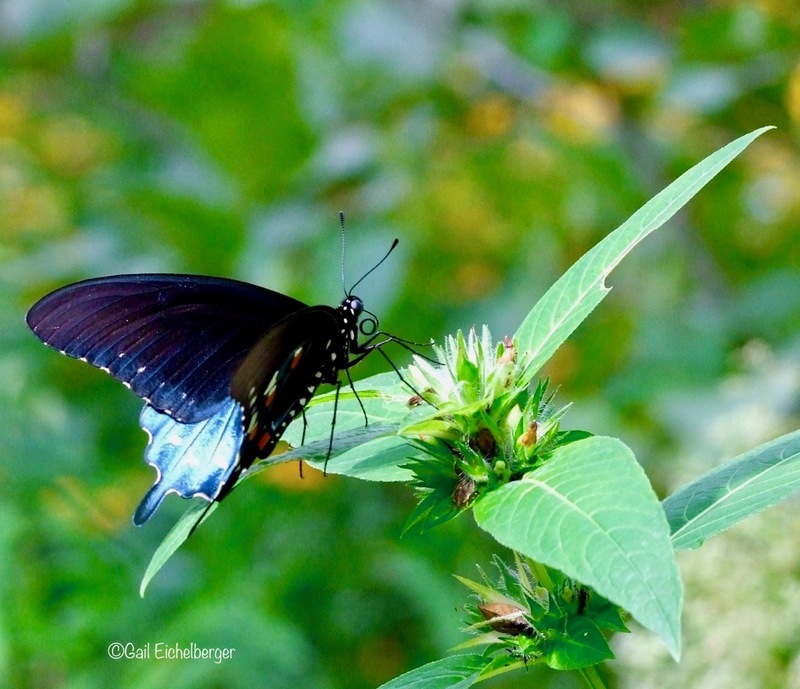 ***an important food source for the Pipevine swallowtail Butterfly. Comments: Doesn't grow in the high summer heat of Zone 8. Woodland Phlox (Phlox divaricata, Indian pink/Spigelia marilandica, Carex species, Fothergilla gardenii, Uvularia sessilifolia, Jeffersonia diphylla, Maianthemum stellatum, Polystichum acrostichoides, Pachysandra procumbens and other woodland wildflowers. 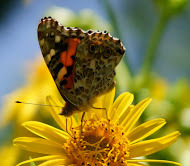 Welcome to Wildflower Wednesday and thank you for stopping by to see our March star. It's been in my garden for a long time and once again I ask myself how this workhouse in the woodland got overlooked. 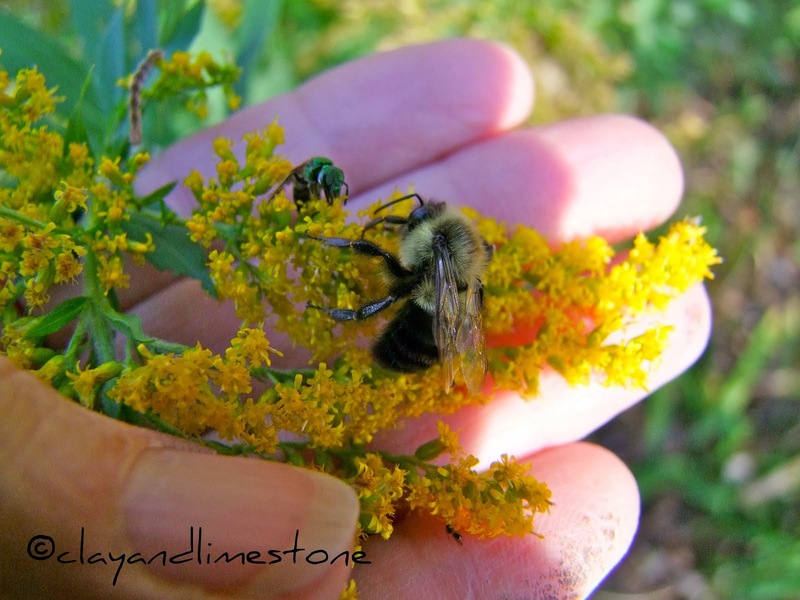 Thanks for joining in and if you are new to Wildflower Wednesday, it's about sharing and celebrating wildflowers from all over this great big, beautiful world. Join us on the fourth Wednesday of each month. Remember, it doesn't matter if your wildflower is in bloom or not and, it doesn't matter if we all share the same plants. Please leave a comment when you add your url to Mr Linky. This is one of my favorite wildflowers I guess because it grows so well in one spot in my garden. It is like finding treasure when I stoop down to inspect under the leaves for flowers. When I find them it is such a delight. Happy WW. I love finding the flower, too. It's an easy peasy plant for sure and seems to be happy in many of our gardens. What a fun post! I am trying to remember if I've had some of this growing before. If so, I am not sure why I don't now. Such a great woodland ground cover. I have it growing in various parts of the garden, all here on its own. Great shots of the flower! I know from personal experience it wasn't easy to get, especially that first one. My wild ginger is still under snow . . . 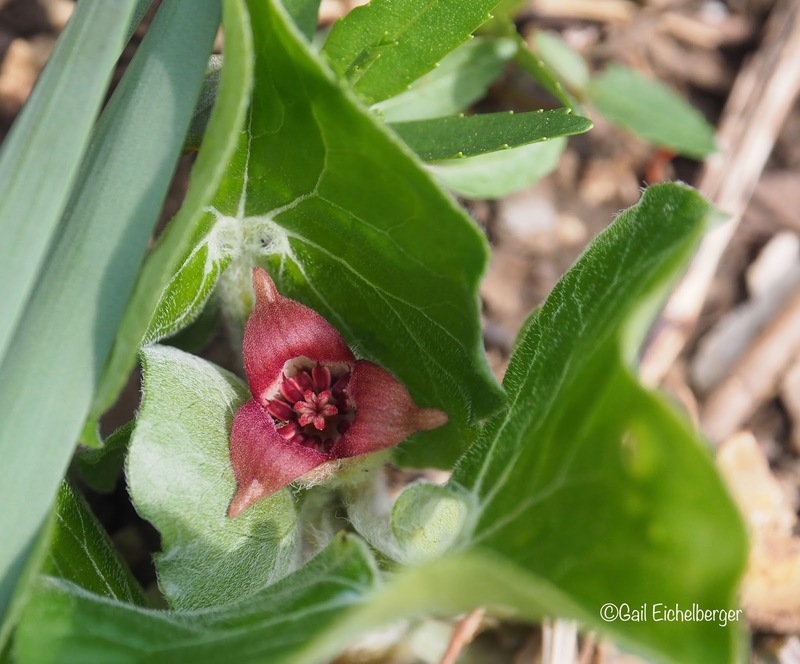 Here on this side of the Rockies we have Asarum caudatum, similar but the leaves are less fuzzy, more succulent-like. A pretty spring treat for your garden. Seed dispersal by ants is so amazing. I'll have to see if that happens in my area. We have tons of ants it would be good to know they did more than churn up soil. A very interesting wildflower that I have never seen. An Audubon Center here in north Mississippi has a native plant sale May 18th and 19th. I have wrote in on my calendar - maybe I can find Wild Ginger there. I am SOOO jealous. For some reason, I absolutely love this little plant but have never lived somewhere that it will grow for me. Your photos of the flowers are particularly enticing, but there's something about the leaves that really pulls me. Deer can't eat it but is it poisonous for people? It's not recommended, although, historically it was used by native Americans. I’m not so familiar with this group of plants, but gingers seem to have been following me around this week, on several favourite blogs! Very informative post, thank you! I love that little ginger. Mine is not yet popping up but soon. And I do love that new word. I have a very (Very!) small patch of wild ginger growing now in its second year. Haven't seen any flowers yet, but you've encouraged me to get out and lift the leaves to check. Certainly have plenty of ants around so hope they will spread this plant far and wide! Our fynbos is dependent on ants burying the seeds to survive frequent wildfires. Unfortunately the same yummy elaiosome is on invasive Port Jackson wattles. We have asarum growing wild in the woods and I've planted some in the garden as well. But I've managed to see -- let alone photograph -- the flower. Bravo to you, Gail! This is such a great plant, and I didn't know it was a host for Pipevine Swallowtail. Neither did I, I was very excited to read that! It's been a while since I could post about wildflowers, but the time is drawing near. Your photos are so inspiring. See you in Austin! Hi, it's Thepsia populnea an invasive! Thanks for stopping by. I have a positive ID on my mystery flower so I came by to add the link to the post. It was fun trying to figure this one out and I really enjoy your website and appreciate the ideas everyone had. I'm learning a lot! Hello passing by to see the news. Certainly have plenty of ants around so hope they will spread this plant far and wide!